Packed with codes, secrets, biblical parallels, and reminding us of the real meaning of Christmas, this enthralling and touching tale can be read on many levels, and will be loved by adults and children alike. When Alice?s Uncle Sam brings home a mysterious calendar that?s short on chocolate but big on surprises, she is thrown into an Advent she never dreamed of. Codes arrive by text message and open the doors in the calendar, drawing Alice and Sam into fantastical new worlds. Accompanied by famous figures from the Bible, they explore the great themes of Advent and Christianity and find themselves maturing, changing and questioning. Life in their own world will never be quite the same again. 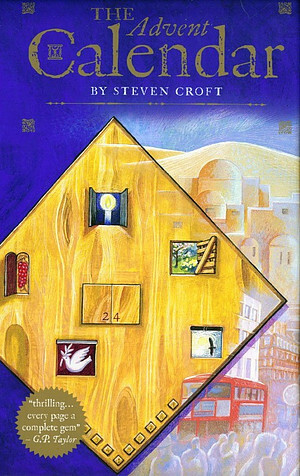 The Advent Calendar by Steven Croft was published by Darton Longman & Todd in September 2006 and is our 15186th best seller. The ISBN for The Advent Calendar is 9780232526806. Be the first to review The Advent Calendar! Got a question? No problem! Just click here to ask us about The Advent Calendar.